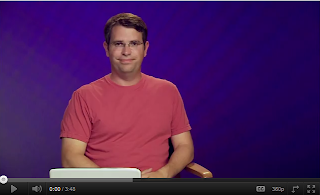 Google’s Matt Cutts addressed this question on the Google Webmaster Help YouTube channel in early August, to clarify that SEO is not spam. Cutts states that optimizing a webpage through white-hat, ethical tactics, is a strategic tactic to enhance the visibility of a website on search engines. The search engine optimization industry has unfortunately been under some scrutiny as black-hat SEO firms have emerged and lead to question of the integrity of the industry. Cutts further explains that there is an enormous amount of benefits with optimizing a website. Keywords, Meta Tags, H1 Title Tags, Back linking, and page load speed are just some of the ways that sites can be optimized to create a unique user experience. WebiMax, the well-regarded leader in SEO services, practices white-hat SEO tactics that are highly ethical and endorsed by major search engines Google, Bing, Yahoo! and others. We never put the clients business or brand reputation at risk when working to improve the clients rating by finding disreputable or "black hat" methods. We act in good faith when consulting and giving direction to our clients, first and foremost committed to the well-being of their firm, and in line with their organizational objectives. We adhere to a "non-competition" clause in that we will not contract with competing firms within the same geographic industry. We never practice dishonorable means of achieving a higher search engine rating including using linkfarms, hidden links and text, copied content, unauthorized software, doorway pages, or plagiarism.